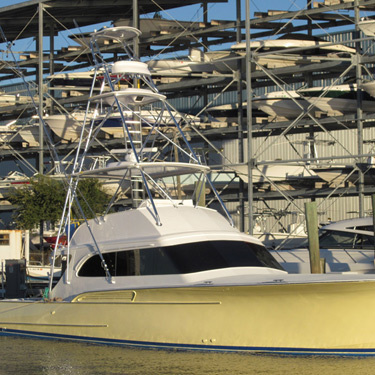 Before creating your tower, we supply you with engineering drawings so you can see what it will look like and how it fits and enhances the profile of your boat. Our goal is to build the best looking tower so it complements your boat at the dock and works well out on the open water. We know experience counts and at Palm Beach Towers, our work force represents more than 60 years expertise and craftsmanship. Please contact us so we can design and build a Palm Beach Tower for you.